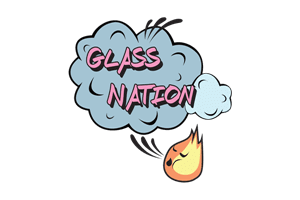 Glass Nation knows all the best vape brands online because we do nothing but live that full time dab life. Wake-up dab, lunch dab, Fortnite dab. Furthermore, we know what constitutes a high quality dab life. Having the best vape pen available is super important to maintaining a high quality of living. If you are looking for the best vape pen for dabs we have you covered. Dab vape pens are pretty much the same as dry herb vape pens however, dab vape pens have a heating element that gets extra hot. A dry herb vape pen works best when it distributes the heat around evenly in order to bake the herb. Glass Nation knows all the ins and outs of vape pens and loves to share this knowledge with the world. Stop by and check out our awesome collection of the best vape brands online.